My name is Liz and I am a 22 year old senior at Suffolk University! I love to laugh, to love, and to engage in romance novels! I believe in magic, and I believe that everything happens for a reason! My Week in Battle Creek!! Now, you may remember that my first ever blog post was recapping my fabulous week volunteering in Gulfport, MS. Well, another spring break has come and gone, and guess what that means, another ASB trip has come and gone. This time, in Battle Creek MI. I must admit, I was very nervous for this year’s ASB trip. For one, because I knew it was my going to be my last one, and I really wanted it to be one I would love! Second, I was the leader of this particular trip, and I really wanted all my training, planning and prepping to pay off. Mostly, I just wanted everyone in my group to have the best time, and to love ASB as much as I do. Feeling good after a day of drywalling! Well, despite a few hiccups, it couldn’t have gone any better! My group got along so well, we all loved being with each other, hanging out and laughing. The site we were at were awesome, and they always had something for us to do. From hanging dry wall, to building a wheelchair ramp, to digging a trench in the rain, we really got our hands dirty (literally and figuratively). My favorite part about ASB is that each year I go (this was my third year) I come back from the trip a little different. Sophomore year, I realized that I was a lot braver than I thought I was. We found this awesome coffee shop in downtown Battle Creek, and we learned all about these two guys! Junior year I realized that most people are awesome, if you just give them a chance. Outside our new favorite coffee shop in Battle Creek! Cafe Rica! And this year, senior year, I realized that I can’t put a timeline on my life. I feel as though this entire semester, I have been thinking, 4 months until graduation, that means only 4 months left to get a job, and I need to get my reel done, and I need to make sure I spend enough time with my friends. But, being in Battle Creek, I realized that I can’t be putting this timeline on myself, because life happens the way that life is supposed to happen. We went to Lake Michigan on our free day! Our newest friend Justin, the site coordinator! Now, I have to say, that I know I’m not like most people, but I think that’s a good thing, I care about other people more than myself, I always say as long as everyone else is happy, I’m happy. And, I know that my life will work out, even if it’s not on the timeline that I always thought it would. I think everyone should try ASB at least once. It’s an experience that you won’t regret. Thank you Suffolk, and thank you Battle Creek, for another week of learning! It’s hard to believe that 2018 is almost over, it seems like just yesterday it was the end of 2017, and now here we are, the end of 2018. I don’t like endings or beginnings, maybe that’s why I hate the end of the year. I actually love the middle of things, I love a good Wednesday. I really don’t like to see things end, or start. But, nevertheless, here we are, so I figured I’d give a little recap of my year, mostly for me, I won’t have any hard feelings if you never read this. In January, I traveled to Mont Tremblant, Canada with my brother and Dad to go skiing. I love skiing on new mountains and this was a great way to kick off the new year! Also in January, I started my internship at Channel 7 WHDH, as an assignment desk intern. In March, I went to Gulfport Mississippi to volunteer with Habitat for Humanity with my school’s Alternative Spring Break program! (BEST WEEK EVER) I have so many other blog post’s about this week, it was just that good! I turned 21 in March, and celebrated with my best friends! In May, I finished junior year of college and resumed my summer position of working at Target! Hello 6 a.m. shifts! I went to Philadelphia right before July 4th, which was super fun! The end of July was sad, when I crowned my successor, and am now forever a has been! Thank you National American Miss! I went to Martha’s Vineyard in August, and while I was there, I got the call that I would be interning at Channel 4 WBZ for fall semester! I started senior year of college!! I had the best long weekend in Wilmington, North Carolina at the One Tree Hill Convention in October! That’s right! I will be a script writer at Channel 7 WHDH starting on January 14th! I am excited that my 3 internships and lots of hard work helped me get this position! I know I will learn so much from this job! Get ready world, I am coming for you this year, I’m graduating, I’m coming into the real world, and be warned, I’m going to make a splash! I never make new year’s resolutions because no one ever sticks to them. But this year, I have one. Here’s to happiness and love in 2019, for each and every person in the entire world! Sometimes I joke around and say that if you don’t know where I am, it’s either in the editing lab working on my current package, or on the commuter rail. It’s sad, but also, not false. Commuting is a full time job. I love when people take the commuter rail and they clearly don’t do it much, because they are all happy and talkative and they don’t know to have their ticket ready to go before they get on the train. I feel like telling them that the appeal wears off. Sometimes parents take their children to the train station to watch the trains go by, and it’s adorable to see how happy it makes them, but then I think, if only you knew how much pain it causes all of us. In order to survive commuting, I have come up with a guide. A top ten, of sorts. If you commute, you will agree, if you don’t you’ll think I’m being ridiculous, but believe me, you are going to want those heavy winter gloves when the train is delayed and you end up having the stand outside for 30 minutes in the 15 degree weather. 10: Get a Really Warm Winter Coat, Jacket, Mittens, Hat. When the train is late, or the train breaks down, or the heat is broken on the car, or you realize you wanted to go out with your friends after your day, you won’t regret it. Maybe it’s not the latest fashion, or the latest trends, but nobody on the train cares. You will be happy to have that warmth while you wish you didn’t have to wait outside for the train. It sounds silly, but the thing is, when you commute, you have no down time. From the minute you get in your car to drive to the train, to the minute you get back in your car after the train ride home, you won’t have a minute to relax. Where would you even go to relax? If you are like me, you may have a friend who lives in the North End and lets you go over for an hour in the middle of the day, but still, you can’t rely on him to always be there. Believe me, you are going to want those comfy shoes. 8: Get Really Good At Time Management. I can tell you the exact amount of time it takes me to get to my house from the train station. (26 minutes) I can tell you the exact amount of time it will take me in Starbucks to get my coffee in the morning, (8 minutes) and the exact amount of time I need to print out my essay that’s due right before class. (if there is no line, 6 minutes.) I know if I take the 8:01 train its 35 minutes, but if I take the 6:56 train it’s 29 minutes. I know it’s 3 minutes from Back Bay to Ruggles, and I know that it takes my 12 minutes to walk from South Station to Sawyer Building. 6: Get Ready To Be Tired. At least at first. I remember going home, and feeling really tired. Now, I’m used to it, so I’m not tired anymore. My legs hurt, my head was tired, and their are lots of days I still want a little more sleep, but I’m used to it now. Especially if you are commuting to Boston, I don’t know how expensive the rest of the country is, but Boston is expensive. I just can’t be buying food every day. Bringing lunch really pays off, I can eat it wherever I am, I don’t have to wait in line, which wastes more time. And at the end of the day, when I get hungry, I have a snack. I am already paying for my monthly commuter rail pass and parking, gosh, I don’t know what I’d do if I had to pay 15 dollars for lunch every day. That’s 75 dollars a week! The commuter rail is run by humans, humans make mistakes. I know I make mistakes, so many mistakes. If the train breaks down, or it’s late, sure it’s annoying, but I can’t get too mad, I’m sure they feel bad enough already, just be patient, wait it out, and eventually I’ll get where I need to go, and usually the train is on time. Whenever you get where you are going, be happy, have a little fun, buy a coffee, just be all there, because soon enough, you will have to go back to South Station to wait for the train again, so be happy when you are wherever you needed to be. 2. Be Nice To Everyone You See On The Train, Or On The Sidewalks. We are all on the same boat. Most likely, nobody really wants to be doing this, but we all are anyways. Let them on the train in front of you, let them sit in the middle seat when they are short on cars that day. Try to smile, tell them if they dropped something. When you are packing for 16 hours, it’s hard to remember it all, help them out, smile, be kind, but don’t be dumb either, be quiet in the morning. 1: No Matter How Bad of A Day it is on the train, it’s still better than driving. Always remember, sure, most days it’s cold, it’s rainy, it’s windy, but, it’s still better than sitting on the highway in gridlock for hours, wasting gas, wasting time, let alone finding a parking spot in Boston. At least on the train, you can read, you can text, you can listen to your podcast, all while someone else is doing the driving for you. Taking the train, is always better than driving. I tell myself that everyday, and it’s not so bad anymore. Maybe I’ll see you on the commuter rail! Hello Blog World! I must first apologize, I am terribly sorry I haven’t written a post in a while. I was sick, and then I went back to school and suddenly every professor realized finals was almost here and assigned lots of work. But, on the train this morning, I had an idea for a story, so I knew I had to make time for it. I took this on the It’s A Small World Ride in Disney Land last year! Christmas is coming, and personally, I absolutely LOVE Christmas season, and I’ll tell you why. It’s not because of the presents, I actually like giving presents more than getting them. I love to see the look on people’s faces as I give them something I knew they’d love. I love the magic of the season, and I’m not talking about Santa Claus, I’m talking about people realizing that they can make a difference in a person’s life. I believed in Santa for a long time, probably because I just loved the magic of it, I believed so hard that I even thought I heard him on the roof one year. Bruce and I on Christmas Eve! But, I remember when I stopped believing in Santa, I was so upset. Christmas was ruined. I didn’t believe in the magic anymore, and I hated it. Santa Santa I know him! But then, I found a newspaper in the street that same year that I stopped believing and right on the front page, an article called “Is There Really A Santa,” and I knew I had to read it. And what I realized from reading an article in a newspaper that wasn’t even ours, was that, maybe Santa isn’t real. The man that we like to call Santa. But the Santa that is about hope, joy, magic, he’s real. The spirit of him lies within all of us. No matter your religion, your race, or your gender. Santa is about giving, it’s about lifting other people up when they need it the most. It’s about hope, knowing that each year on December 25th, Santa will arrive. It’s about believing in things you can’t see, can’t touch, can’t feel. We can all be Santa. We can all go out off our way to give to people who can never repay us. We can all go to the Food Bank and volunteer for a day, knowing that they’ll never be able to do that for us. We can all spread joy, love, happiness, even if it’s just for a day. And why does that day have to fall on December 25th? We can all be Santa, all year long. There is so much goodness in this world, every day people do things that surprise us and make us realize how amazing this world truly is. So, when I stopped believing in the magic of Santa, I started believing in the magic of the world, the magic that lies within every single one of us, to make this world better. I believe in goodness, and magic and I believe that somewhere deep inside every single one of us lies the potential to be Santa. To make somebody so excited, so happy, and so joyful, without ever expecting anything in return. So, I ask you, Do you Believe in Santa? Freshman year we decorated our common room! Today we have a very important- dare I say life threatening- topic to discuss. Every year we know it’s coming, we try not to think about it and the havoc it is going to wreak on our credit cards, but each year it arrives anyways. That’s right, I’m talking about the holiday season. The time that is supposed to be merry and bright and the season of giving, but instead causes more stress and craziness than any of us needs. But, I’m not going to talk about that, instead I’m going to talk about my favorite aspect of the holiday season, and if you know me at all, i don’t even have to say it. 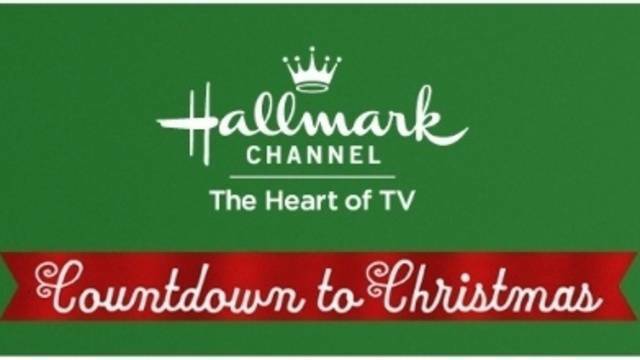 Hallmark Christmas movies, playing non-stop from November 1st through December 31st. Many will roll their eyes, many will say, really you watch those, and many will act as though they think I’m insane when I tell them I have a favorite. But, I don’t think I’m the only one who enjoys watching them, or else, why would they keep them on the air. Sure maybe I’m more open about my love for the movies than most, but I highly doubt I’m the only one to smile at the ending we all saw coming. Personally I love the fact that I could sit down and write the plot of one of these movies. Man and woman meet, they have something they don’t like about each other, whether it be their job, the other one is trying not to be in a serious relationship, but over a series of scenes set to a backdrop of fake snow, Christmas trees and holiday songs, they fall in love and kiss, the end, movie over. See, I practically just wrote a new movie, all we need is a few famous actors and we are good to go. That still doesn’t stop me from watching them, and looking up the times of the ones I knew I loved last year to try to be around to watch. Hallmark Christmas movies are a staple of the holiday season, as much as people complain and groan when they release the non-stop schedule, we all know that there would be protests and very unhappy people if they cancelled them. Me, I like them because they are predictable, they are silly, and yes they are unrealistic. they aren’t going to happen. I’m never going to fly to a new city without my fiance, only to meet a person with the same name as my fiance’s brother in the airport, and travel with said brother to their home where I know no one, because fiance got held up at work, only to find out it wasn’t said fiance’s brother at all, just another person with the same name, only later on to realize I was never in love with my fiance, I’m in love with fake fiance’s brother, so I drop everything to be with this guy I’ve known for 3 days. That would involve me having a fiance, and no boys are exactly scratching at my door. I guess what I’m saying is that I really don’t care that they are never going to happen, I mean a spider is never going to bite me and I’ll wake up the next day with super powers either, but people love spider-man just the same. Or maybe I’m just more of a romantic than most. either way, you can find me on Christmas Eve glued to the couch watching a hallmark movie.